The depth training has begun and the line-up of athletes, preparing to offer their best in Deans Blue Hole, is ready and posted. William Trubridge’s Suunto Vertical Blue 2015 will officially kick-off in over just one week on Monday, April 27th. This year 24 freedivers from 13 different countries will take the plunge in three different disciplines: constant weight (CWT), free immersion ( FIM) and constant no-fins (CNF) — some to reach for gold, others to obtain personal bests, and perhaps all to re-connect with mother ocean. 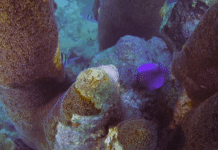 “It’s been a while since we’ve competed in Dean’s Blue Hole during the spring months, when weather and water clarity tend to be better, so I’m looking forward to that as well. My gas tank of motivation is topped off, and I’m ready to step on the gas!” shared Trubridge. Taking charge of the well-being of the athletes will be the Masimo Safety Team, lead by Chief of Safety Stephen Keenan alongside VB platform Medic Tom Ardavany. In partnership with Suunto Vertical Blue, Masimo (a global medical technology company) will be providing equipment such as pulse oximeters which will be used to monitor the athletes O2 saturation levels before & after their dives and to collect data on the remarkable physiological changes the human body undergoes during breath-hold dives to such great depths. 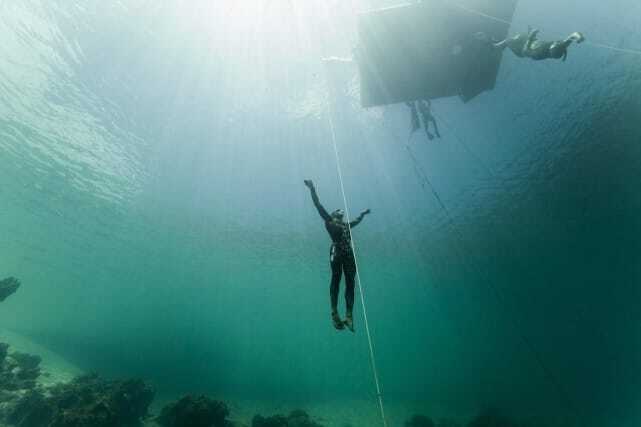 Stig Severinsen, who has a PhD in Medicine and is a former world champion freediver himself, will be conducting the tests throughout the competition. Another special feature of this year’s spring installment of VB will be a performance symposium called “Deep Anatomy” by the Playground NZ. Stay tuned for more news on all of these fascinating events and an underwater drone that (the organizers hope!) 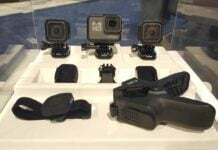 will capture top-to-bottom footage of all the dives. How soon after the event will the physiological be published and where will the findings be printed?